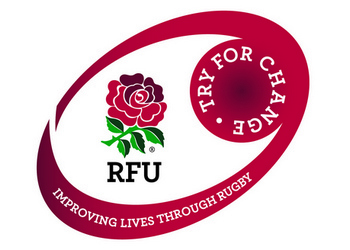 The RFU has launched Try for Change, a new flagship social responsibility programme. Supported by founding partner O2, Try for Change aims to raise awareness and grow rugby as a tool for social good, by bringing together and supporting leading rugby charities and organisations. 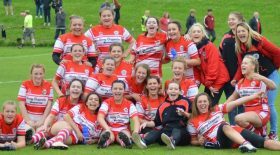 Throughout England there are a number of charities, clubs and programmes using rugby to change lives for the better. The six charities initially enrolled in Try for Change for 2015 will have access to support and mentoring, in order to help transform and deepen the positive impact they can achieve through rugby programmes. These charities are: All Schools (RFF), Dallaglio Foundation, Injured Players Foundation, Restart, School of Hard Knocks and Wooden Spoon. Try for Change will assist organisations in broadening and deepening their existing rugby focused programmes through opportunities such as introductions to sector leading experts. The programme will also award members with a kite mark in recognition of their commitment of using rugby for good and to raise awareness of their initiatives. As founding partner, O2 has committed to raise £350,000 through its Recycle for Rugby campaign to support Try for Change. The campaign is part of O2 Recycle, a scheme which is available to both O2 and non O2 customers and offers cash payments of up to £260 for unwanted gadgets. So far, O2 Recycle has given customers over £100m for their recycled devices and up until September 2015, it will generate funds for Try for Change to help change lives through rugby. It’s not just mobile phones which O2 recycles but also tablets, MP3 players, handheld consoles, digital cameras and SatNavs. With an estimated £3billion worth of devices left unused around people’s homes, there is still plenty of recycling to be done, to help raise money for Try for Change. O2 Recycle for Rugby aims to show how rugby can be a force for change, helping young people break through disadvantage and recycle their unwanted gadgets in an environmentally friendly way.